A placed IEEE Symbol (Sigma). 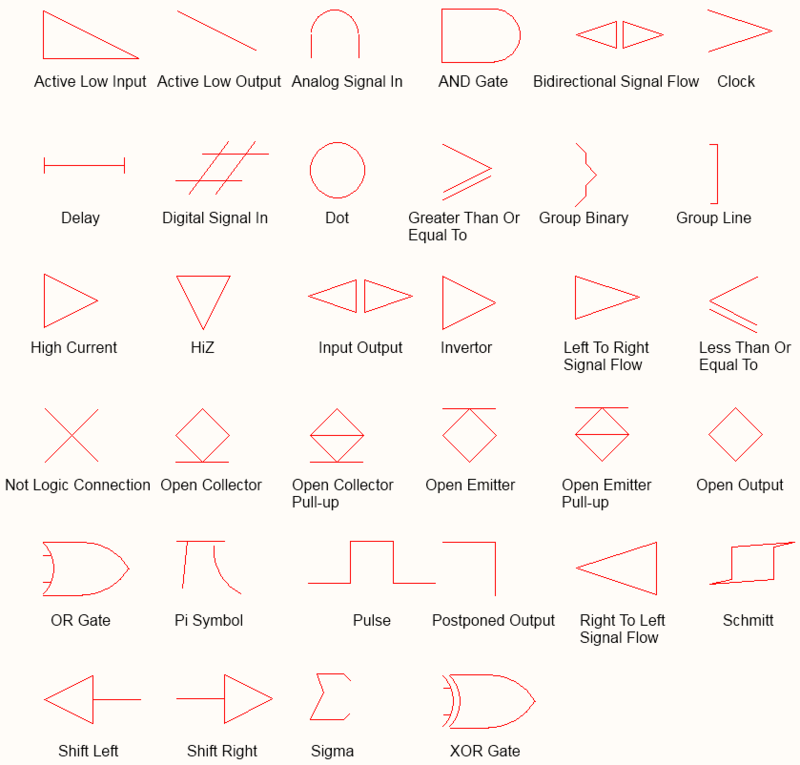 IEEE symbols are non-electrical drawing primitives. They are used for representing logic functions or devices. These symbols enable users to understand the logic characteristics of these functions or devices without requiring specific knowledge of their internal characteristics. Click Home | Place | and choose the required symbol from the sub-menu. The range of IEEE Symbols available. After launching a command, the cursor will change to a cross-hair and you will enter IEEE symbol placement mode. The chosen IEEE symbol will appear "floating" on the cursor. Position the object and click or press Enter to effect placement. Continue placing further symbols, or right-click or press Esc to exit placement mode. Press the Tab key to access an associated properties dialog, from where properties for the symbol can be changed on-the-fly. Press the Spacebar to rotate the symbol anti-clockwise or Shift+Spacebar for clockwise rotation. Rotation is in steps of 90°. 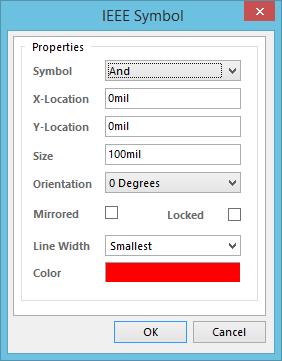 Press the X or Y keys to mirror the symbol along the X-axis or Y-axis respectively. Press the + or - keys (on the numeric keypad) to enlarge or shrink the symbol. A selected IEEE Symbol (Sigma). Click anywhere inside the dashed box and drag to reposition the symbol as required. While dragging, the symbol can be rotated (Spacebar/Shift+Spacebar), mirrored (X or Y keys to mirror along the X-axis or Y-axis respectively), or resized (+/- keys on numeric keypad). This method of editing uses the IEEE Symbol dialog to modify the properties of an IEEE symbol object. Not only can the dialog be used to change properties for the current IEEE symbol, it can also be used to change the symbol for a completely different one, simply by choosing the required new symbol type from the Symbol drop-down field. The SCHLIB Inspector panel enables the designer to interrogate and edit the properties of one or more design objects in the active document. Used in conjunction with the Find Similar Objects dialog, the panel can be used to make changes to multiple objects of the same kind, from one convenient location.